We don’t often think about having a formal regimen to warm up for a day of paddling. I know mine often consists of a practice roll and then paddling a few strokes in order to peel out of the eddy. In reality, a lot of our warm up happens on the river. For newer paddlers, however, even being on the river can be a place of dis-ease, but warming up is just as important. 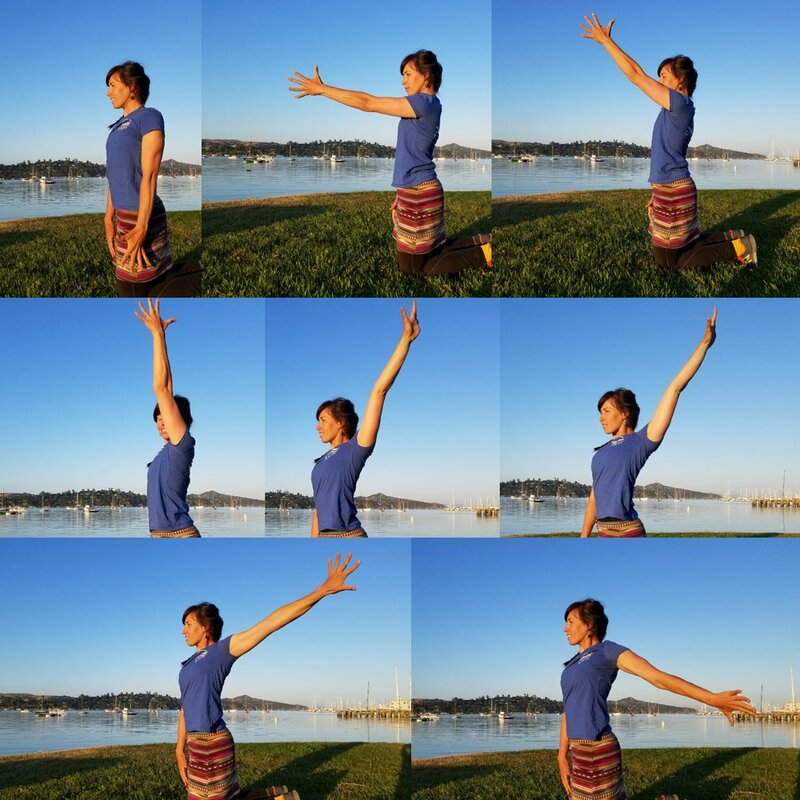 As a yoga instructor and general river enthusiast I have put together some guidelines to creating a land-based warm-up to prepare your body for a day of paddling, before you even get on the water. Warming up lessens your risk for injury, increases performance, and even helps out with the psychological aspect of the sport. Before paddling, repetitive movements that focus more on engagement and less on long-deep holds will prepare your body better for movement. In order to spread more oxygenated blood throughout our body we want to increase our heart-rate. This could be anything from sun salutations to lunges and squats. Save the longer stretches for the take-out. One of the psychological benefits of a warm up is that it allows us to focus our attention and reduces distractions. It begins to train our brain to focus just on the task at hand. Think about getting worked in a hole, and how much easier it is when we can focus on how to roll up and get out, rather than thinking of all the things that might possibly go wrong, panicking, losing our heads and pulling our skirts. Our breath in warm-up can be a tool to focus attention and center ourselves. Throughout your entire warm-up try to link your breath to your movement. Sun salutations are great for this! Below are windmills and sidebends inhaling to a straight back, exhaling to rotation. Chances are, before you hop in your kayak you have been sitting for quite a while, driving to the river, setting a shuttle, etc. You are about to be sitting a lot more, so take a few moments to initiate movement in your hip joint. 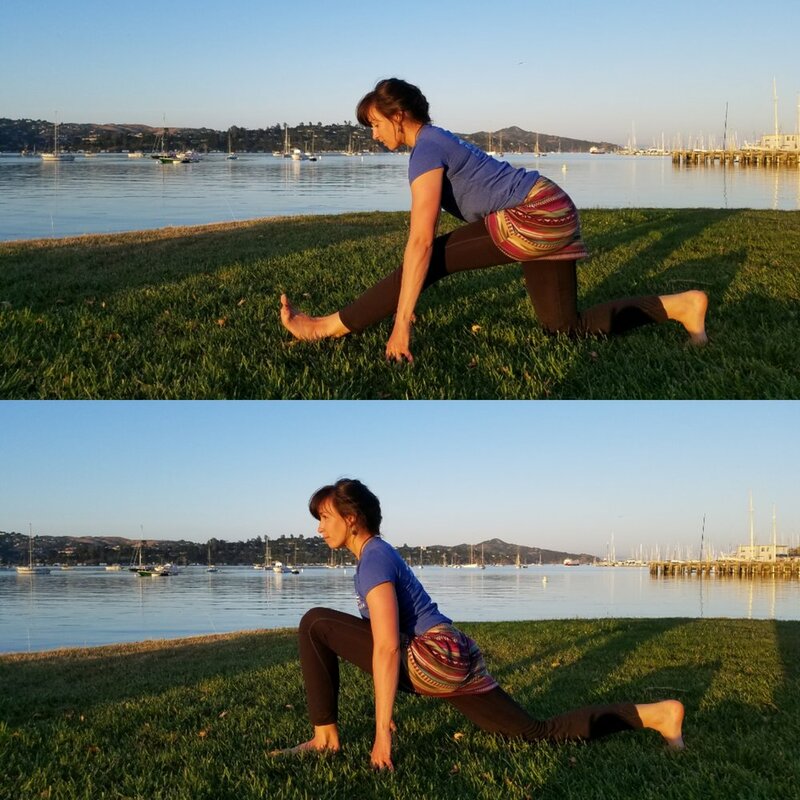 Figure 4 stretch (shown below) is great for this, as are lunges (low lung to hamstring stretch below) and squats. Active stretches warm your muscles and increase hip mobility, so it doesn’t feel like you’re squeezing into your boat. Paddling is all about core engagement. The more we can warm-up and activate our core (upper legs, torso and shoulders) before we paddle, the more we will actually use our core to it’s fullest potential when we are paddling. Use this time to mindfully engage your abdominals, and back muscles. Do some movements that you often use when paddling, and focus on using your core in these isolated movements. Begin to engage your arms from the wrists all the way to the mid-back. Roll your shoulders and your wrists. Paddle around flat-water to get the blood moving. Warming up your entire shoulder capsule and arm, will allow your muscles to exert more force and respond more quickly while kayaking. Rather than simply stretching your shoulder, work to engage all of these muscles in your warm up by running them through a full range of motion. Do not forget your wrists! Roll your wrists around, open and close your hands. In conclusion, work those arms, hips, core, breathe and get some cardio. You can do it with any of these movements mentioned, but the ultimate kayaking warm-up? Parking lot dance party! Crank up those tunes, get down and boogie. Kiki Wykstra, RYT 200, began her yoga practice in 2002, as a means of rehabilitating hyper-mobile joints and preventing further injury. Quickly her interest in yoga moved beyond physical healing into the more subtle aspects of the practice. Her curiosity continues to this day, inspiring her teaching. As a yoga instructor, Kiki sees yoga as a space for people to connect to their mind, body and community. Her classes work to bring more awareness to these parts of our lives in a variety of ways. She is always excited to help people increase body awareness and mobility. Kiki also works as a river guide on the most iconic multi-day trips in North America: The Grand Canyon, Middle Fork of the Salmon and the Alsek River in SE Alaska. When not exploring new rivers or teaching yoga she can be found playing her ukulele on a small boat in the San Francisco Bay. For questions or inquiries you can reach Kiki at kwykstra@gmail.com. 1. Magazine, SUP. “Paddle Healthy | Dynamic Full-Body Warm-Up Routine | Video.” SUP Magazine. SUP Magazine, 27 Oct.
2015. Web. 07 June 2017. 2. ”Psychological Benefits of a Warm-up.” The UKs Leading Sports Psychology Website. N.p., n.d. Web. 07 June 2017. 3. Quinn, Elizabeth. “The One Thing Your Should Always Do Before You Exercise.” Verywell. N.p., n.d. Web. 07 June 2017. 5. Starrett, Kelly. Becoming a Supple Leopard: Movement, Mobility, and Maintenance of the Human Animal. Auberry, CA: Victory, 2012. Print. All word and images Copyright California Women’s Watersport Collective 2017. All rights reserved.